With the spring season around the corner I thought I’d bring you the things I’ve loved during this winter. There’s not much else to say, so let’s get started! This brow palette has truly stepped up my brow game. I mix a bit of the pigment from my Urban Decay 24/7 Perversion pencil with the darkest tinted wax from this Sonia Kashuk Arch Alert palette to get the perfect brow product for me. The wax from the palette holds my brow hairs in place and the color helps prevent the pigment from the Perversion pencil from appearing too dark, harsh, and/or Sharpie colored. This palette is exclusive to Target, who is having Free shipping on orders with a minimum of $25, so if you are interested, please use my link! I mentioned the Rimmel Provocalips in my February 11 Wishlist Wednesday, but this is a different shade (I’ll Call You). This lip product claims to wear 16 hours and be kiss proof. I can’t say anything about the kiss proof part, but this is definitely long wearing and highly pigmented. 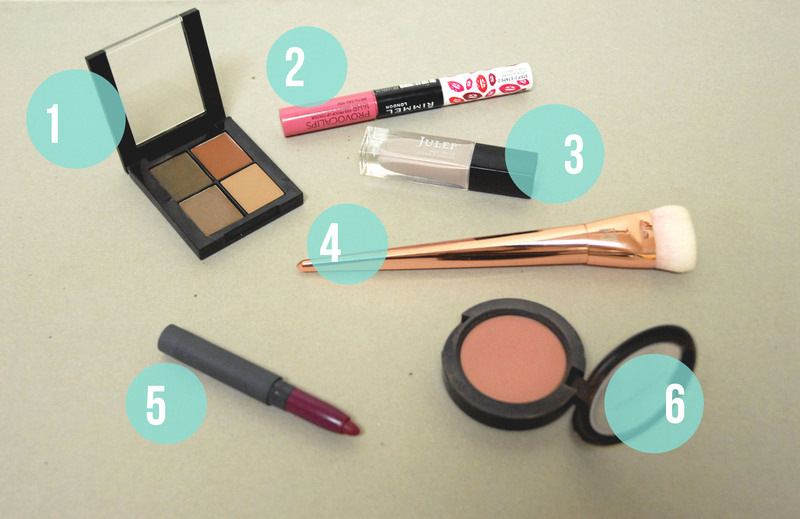 The color is a great pinky neutral and goes with several looks. It was definitely one of my favorite releases this winter. I talked about this Julep polish in Lornenzana in my Julep polishes review. This was the perfect neutral nail polish for this winter season as it was trendy but super wearable. The greige taupe color is classic and universally flattering on any skintone. The finish is smooth and beautiful and the quality is phenomenal. This Real Techniques Bold Metal contour brush was from my first Wishlist Wednesday and since I posted about it, I couldn’t stop thinking about it. I just had to get it! The metallic rose gold is so elegant and absolutely gorgeous. The bristles are soft, great quality, and very dense. The shape of the brush is perfect for carving out the cheek and the softness of the bristles allows the product to be blended into the skin seamlessly and not leave a harsh line behind. This has made contouring so much quicker and easier in my everyday routine! This Bite Matte Crème Lip Crayon in Aubergine was part of my Berry Lip Colors post. This has been one of my favorite lip colors to sport this winter, and also popular among the beauty community. The color is deep and rich without being too dark or vampy and the finish is matte, a popular finish, especially in these past few months. I don’t think I’ve mentioned this MAC blush in Blushbaby yet, but it has quickly become a staple in my everyday makeup collection. The color is a muted dusty rose and the perfect blush to add just a bit of color to the cheeks and liven up the face without overwhelming it. The undertone is neutral so it is extremely versatile and can be used with any look, cool or warm. It is very natural looking and great for simple makeup days too. This curling wand has quickly become my favorite hair tool. I have tried many NuMe wands before, but this one is the best yet. The 25 mm barrel is the perfect size for creating loose curls that are not too tight nor too wavy. The titanium metal heats up quickly and heats the hair thoroughly, to create an even curl with good staying power, leaving you with perfect “I Woke Up Like Dis” second day hair. You can create a variety of hairstyles with this one tool. You can wrap thick sections to create a bit of texture or smaller sections for defined curls. There is built in temperature control to customize the heat to best suit your own hair type and texture. 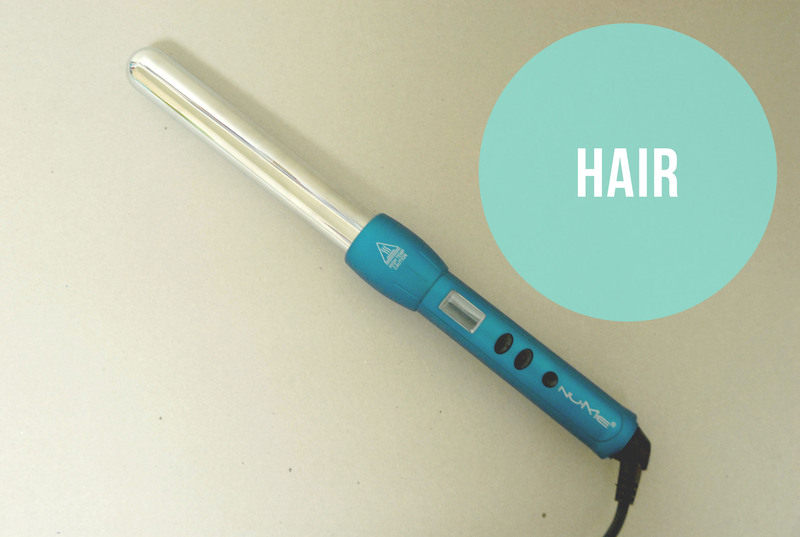 The iron heats up to 450 degrees F, which is perfect if you have stick straight hair like me. Also, NuMe is forever having deals and coupon codes from YouTubers, so you can always buy these at a discount. I mentioned the Josie Maran Argan Oil Light in last week’s post. It is a great moisturizer for the face, especially for the dry winter months. It has aided in reducing my hyper-pigmentation and dark spots from old acne scars, but unfortunately hasn’t done much for my active acne. 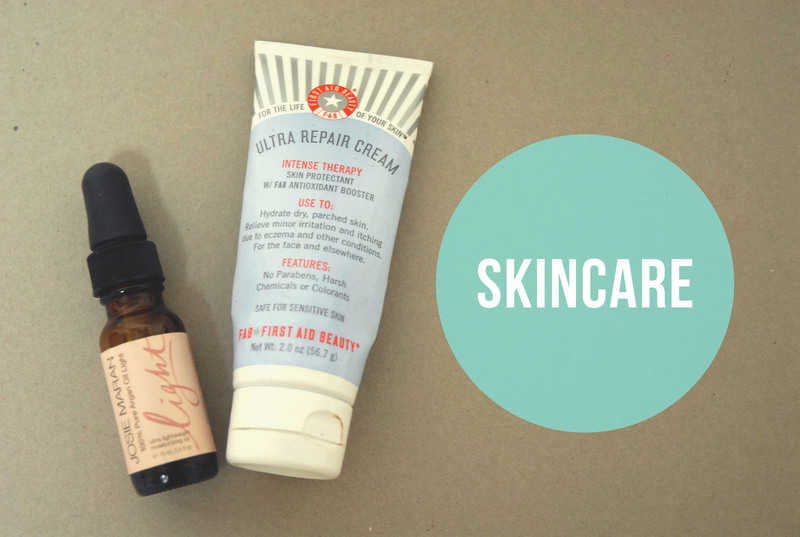 This First Aid Beauty Ultra Repair Cream is great if you have perpetually dry hands like me, especially in the winter. It is extremely moisturizing and hydrating and absorbs well into the skin. The scent is mild and not overwhelming and the formula is free of parabens and harsh chemicals. I featured these booties in my Trending Now post. They are that same greige color as the nail polish which is elegant, classic, and neutral without being too boring. 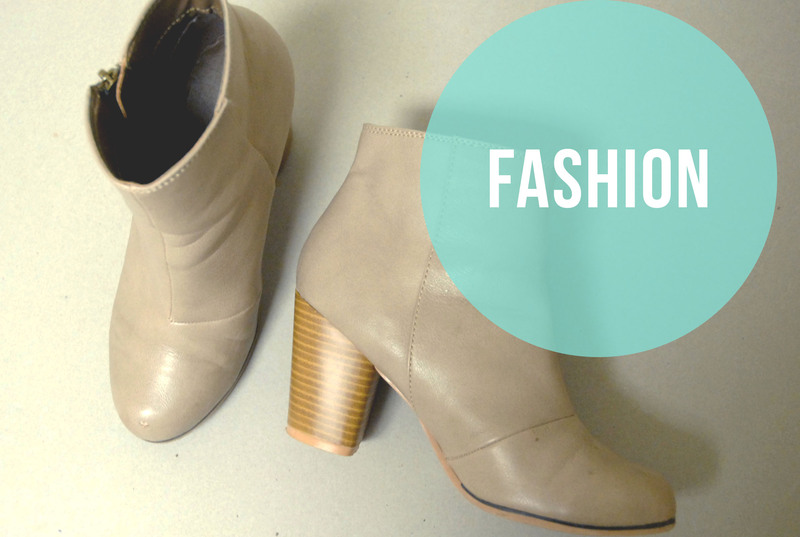 They can be worn either casually or dressed up and they are super versatile. My food favorite this winter has been from Nature Box. Yes, I caved into the pressure of YouTubers featuring this subscription service and got my first Nature Box. 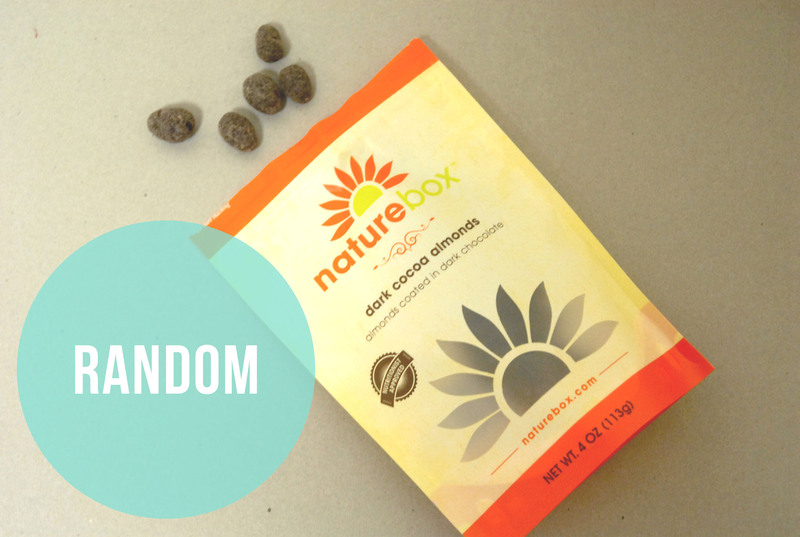 If you are unaware, Nature Box is a subscription service that sends a selection of healthy snacks to you as often as you want and you can customize your orders online. Nature Box partners with many YouTubers to offer discount codes, which led to my eventual purchase. These are the Dark Cocoa Almonds. They are dark chocolate covered almonds coated in cocoa powder. I usually buy dark chocolate covered almonds anyways to satisfy my sweet tooth, but these ones have the added benefit of being low in sugar. The ratio of chocolate coating to almonds is perfect and these are great for snacking when you need something sweet. My favorite TV show for the season has been Friends. 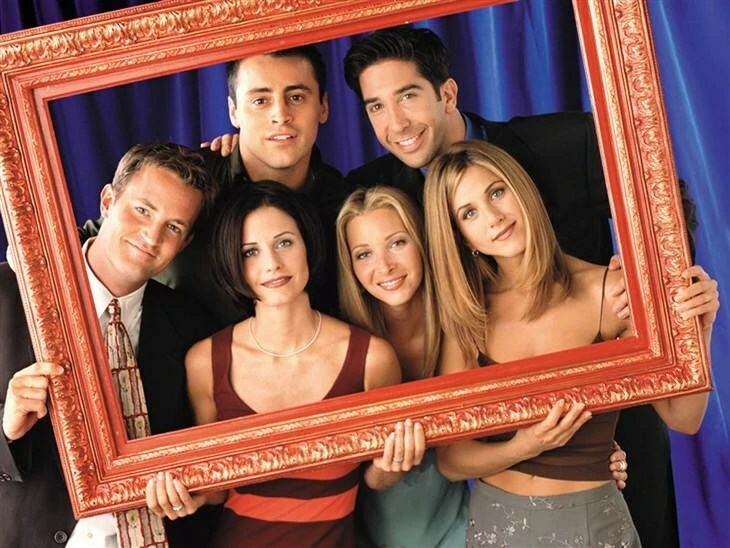 I was already a Friends junkie to begin with, but once I heard all 10 season were going up on Netflix in January, I quickly binge-watched through them. I’m so sad that I finished them all and now have seen every single episode. It’s great to watch the characters develop and grow in such a short amount of time, without interruption. 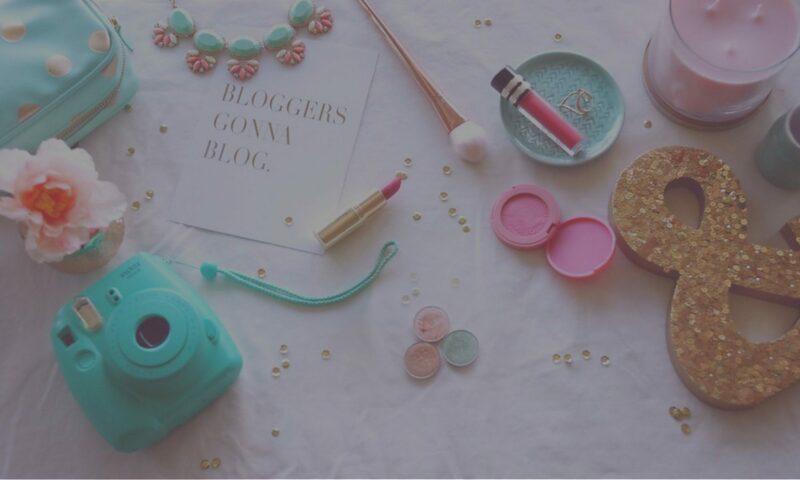 My favorite blog to read recently has been makeupsavvy.co.uk. I love Fee’s focus on low-cost, but high quality products from the drugstore or online, especially the eBay bargains. The steals Fee finds are amazing! My favorite Instagram account of the moment has been @blushingpeonies. She has beautiful pictures and I love her overall Instagram style! My favorite YouTube channel this season has been Shaaanxo. She has been killing it with pushing out good content consistently! I love it! My favorite moment this winter was being featured by Michael Todd! Their promotion of my review on their Charcoal Detox Cleanser has helped me out loads and was so kind of them! It has lead me to start an affiliation partnership with them which I am so honored to be apart of. If you are interested in their skincare use the link below to get an automatic 20% off your purchase! Thank you all for your continued support so far and I hope you enjoyed this post! Comment below with your favorite products this winter and I’ll catch you soon!